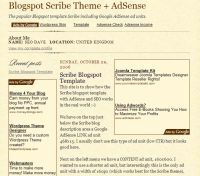 Full list of all free SEO and AdSense Ready Blog Templates and Themes. Currently this site caters for WordPress (self hosted sites) and all Blogspot/Blogger blogs using the legacy Blogspot template coding. 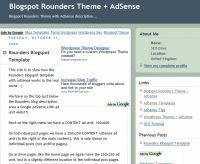 All the search engine optimized blog themes available on this templates page below used to be premium templates (paid for), but are now free. I used to sell the free templates below, so they are pretty good SEO and AdSense themes (some a bit a dated), if you are a WordPress user my best WordPress theme is the Premium WordPress Theme Stallion Responsive (not free), but if you have no money the templates below are a good start, when you’ve made some money come back to the site and buy a premium SEO blog template and see your traffic and earnings from AdSense increase even more. 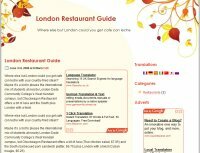 Talian, Blix, Blue Blix, Ad Clerum, Connections Reloaded, Cutline, Forever Autumn, Fresh, Beautiful Sunrise, Almost Spring, Greenery, Naruto Strikes Back and Web 2 AdSense Premium WordPress Themes for hosted domains (NOT http://####.wordpress.org free sub-domains). Talian WordPress Theme : Very popular 3 column WordPress theme with full SEO optimisation,and AdSense ad unit coding (high AdSense CTR). Used as the theme for this website. Connections Reloaded WordPress Theme : Very popular 2 column AdSense ready theme. Full search engine optimization and targeted AdSense ad unit coding included. Web 2 WordPress Theme : Clean looking 2 column theme with light pastel colours. Web 2 includes full SEO optimization and targeted AdSense ad unit coding and is our tenth AdSense ready WordPress template to be added to the site. Blix WordPress Theme : Old faithful, Blix, been around for years, required many updates to make it up to date to work in WordPress 2.8 onwards. 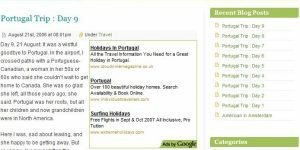 2 column WordPress theme with full SEO optimisation and targeted Google AdSense ad unit coding. Cutline WordPress Theme : Black and white minimalist 2 column WordPress theme with wide right menu which allows for the 250×250 AdSense ad unit in the menu. The header image on this theme changes randomly. Cutline includes full SEO optimisation and targeted Google AdSense ready ad unit coding. Forever Autumn WordPress Theme : A 2 column AdSense ready theme with flowery images. Full SEO optimization and targeted AdSense ad unit coding included. Almost Spring WordPress Theme : A simple/straight forward 2 column WordPress theme using light/pastel colours (easy on the eyes). Almost Spring includes full SEO optimisation and targeted Google AdSense ready ad unit coding. Ad Clerum WordPress Theme : Dark 3 column WordPress theme with a religious theme, includes full SEO optimisation and targeted Google AdSense ad unit coding. Fresh WordPress Theme : Dark blue 2 column WordPress theme with extra wide right menu allowing for 250×250 AdSense ad unit within the menu. Fresh includes full SEO optimisation and targeted Google AdSense ad unit coding. 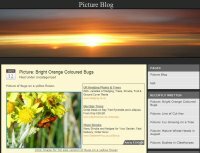 Beautiful Sunrise WordPress Theme : 2 column WordPress theme with full SEO optimisation and targeted Google AdSense ready ad unit coding. The large sunrise image at the top of the Beautiful Sunrise theme is very easy to change to one of your own images, or a collage compilation of images. Scribe, Rounders Blogger AdSense/SEO Templates. 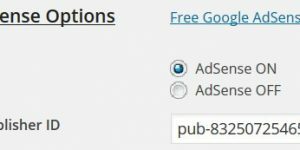 These are all great looking Google adsense templates and if you post some good content, I’m sure some good Adsense money would follow. I’ve just started to get into Adsense and I’m realizing that there is a lot of potential if you know what you are doing. This is good Adcense Templates for me and i hope to another too, but can i have link one of this template for free.